There are two ways to make money from stock market. One is intraday trading and a second is long term investment. You must agree with me that, earning money by Intraday trading in stock market is one of the most difficult task for the trader. However, we find many traders in the market who lives their life by doing intraday trading. Let’s try to understand Intraday trading concept and how to do Intraday Trading. Intraday trading means buying and selling the stock on the same day. Suppose you purchase a stock at 100 Rs cost and sell it for 120 Rs on the same day your profit per share will be 20 Rs on the same day. Intraday is totally opposite to long term investment. In long term investment, you buy stock and hold it for a long term one year or above. You sell this stock at a right time to earn a profit. How much amount can be earned by Intraday Trading? 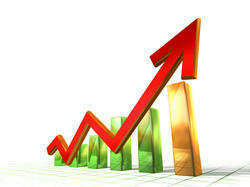 There is no limit on money you can earn by stock market investment. It all depends on your risk taking capacity, your seriousness and knowledge. There are traders who earn 5000 Rs a day and there are traders who earn 50,000 Rs a day also. The first step you need to take for becoming the intraday trader is to open DEMAT (Trading account). For more information refer to Best online Trading Demat Account and key features details. The second step is you need to develop your mindset as a trader. You need to become serious about making money from the stock market and you need to know everything about how the stock market works? Attend seminars, conference etc about the stock market. Meet the trader and try to know how they deal in the stock market. It is very important step as you are going to invest money in stock market. You must start listing to stock market experts on TV. CNBC, Zee business are some TV channel that air exclusive program on the stock market. Start learning from this program. Don’t take a decision based on what market expert says on this program. Before starting trading, you should understand basic concept and terminology used for intraday trading. You should be aware of short selling, stop loss, bear market, bull market, entry, exit, different charts, pattern, graphs etc. You can take help of internet for learning this. Basic rule you need to apply while doing intraday trading is to buy low sell high. You need to purchase a stock at the lowest price and sell it at the highest price to earn maximum profit in a day. Take an example of one stock, when trading starts at 9 am suppose stocks open at the price of 50 Rs throughout the day stock fluctuate and finally ends at 58 Rs. Now you must be able to purchase this stock at the lowest price and able to sell at highest price during the day. If you fail to do so and sell it below your purchase price you will make losses. In Intraday you will able to make profit only when market is going up. To make money in falling market you require lot of knowledge and skill. You need to analyze market performance on daily basis. Intraday trading is like studying market sentiment and to move along with the market. You should able to identify that market will behave in what manner due to various news triggers. You can win the game of Intraday trading If you able to predict the market movement. If you are starting Intraday trading for the first time, it is better to start with minimum investment say 5000 Rs. Once you get the experience you can plan to take a big risk. How to pick a stock? Initially, I advise to focus on the selected stock with low value may be in the range of 100 Rs. As a beginner, you cannot focus on every stock. Select stock from an index which is stable so your chance of losing money is less. When it is a right time to buy Stock in Intraday? Well, it is a very difficult question to answer. Intraday trading is about earning more money so right time is when the stock is low and sell when the stock is at a high price. You can learn this only be an experience. What profit margin is expected? If you are beginner you can expect 1% profit margin from intraday trading. If you are very smart your first profit margin could be 1.5%. On and average as an experienced trader you can expect 2-3% profit margin from intraday trading. It is necessary to mitigate risk while doing intraday trading. The best way to mitigate risk in the stock market is stop loss. If you are doing big transaction, it is better to place stop loss while trading. Another way to reduce risk is to avoid trading with big amount in the single stock. It is a good idea to trade in two three different stocks. Carryout Intraday trading for few days or maybe a month. If you are unable to make money, probably stock market trading is not for you. Quit intraday trading immediately to avoid big loss. Hope you have understood basic about stock market intraday trading. Try to carry out your first intraday trading today. Do share your experience with all readers!